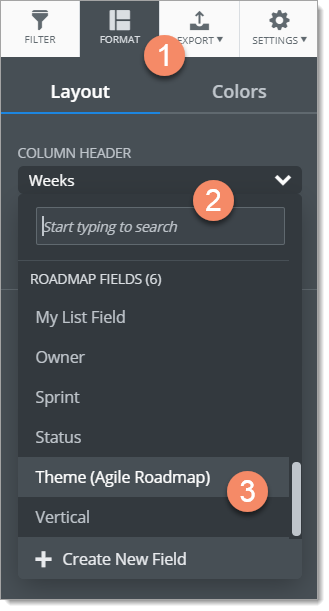 In a Swimlane, you can set up both sets of headers (column and row) as a theme-based data pivot by selecting any of the roadmap's fields. If you want, you can set up either header to a time-based pivot, but its totally optional. 1. On the View navbar, click the Format icon. 2. 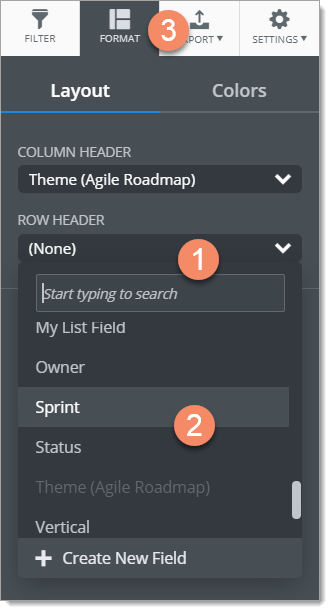 In the Format panel Layout tab, click the Column Header dropdown. 3. Scroll down the dropdown and select the field you want to pivot on. 1. Still in the Laybout tab, click the Row Header dropdown. 3. Click the Format icon to close the panel. 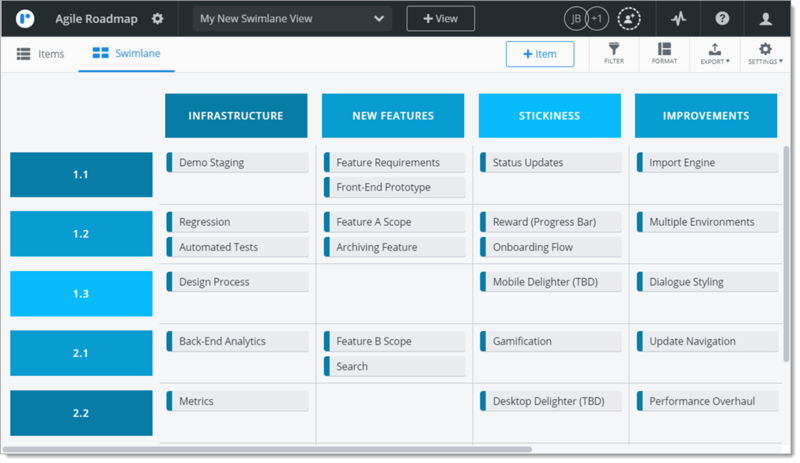 Here's a snapshot of what your Swimlane might look like after you set up theme-based column and row headers. At this point, the Swimlane looks fine as it is, but you can make it more than just "fine" by formatting its layout and colors.